The global retail landscape has undergone monumental changes in the last few years. From integrating innovative technologies to evolving with the changing consumer, the retail industry is redefining itself. Riding on such waves of change are creating new markets and economies which are not only gaining traction from the retail players but also shaping up to be the retail destinations of the future. One such rising retail market in the world today is in Dubai. In the last few years, UAE has developed as a key player in the global retail market. Of its major markets, Dubai particularly has been a topic of research among experts. Dubai has found itself in the list of top 100 retail destinations of the world with major international retailers foraying into the Middle East through this international city. And there are plenty of factors that are responsible for driving Dubai to be the next biggest destination for international retailers. Although the retail market was moderate from the last couple of years, mostly due to a slump in the real estate prices, Dubai continued to attract investors from several countries, making it the second top destination for retail investments globally. The sky-high per capita spend, the radically growing population with the heavy influx of immigrants, and innovative approach to infrastructure, the growth of e-commerce and retail technologies, etc. are some of the reasons behind the retail growth in Dubai. One of the major reasons that boosted the retail growth is Dubai’s rising tourism industry. Also, being strategically located halfway across the globe, the city is at only a four to five hours of flight journey from major countries around the world and forms a bridge between the developed nations in the West and the developing countries in the East and south. In 2017 alone, the city saw nearly 16 million visitors (of which 23 percent were from the GCC region) who contributed to an approximate retail spend of USD 29.7 billion. This number is expected to reach USD 43.8 billion by 2021. Additionally, the weak US dollars against the Emirati Dirham, new travel routes connecting major global cities directly to Dubai, and revised visa regulations (stopover visa) has also contributed to the rising retail spends. Catering to its constant influx of tourists, visitors, and investors, Dubai continued to focus on customer experiences and adopt innovative approaches in order to retain its customers across sectors. The 2018 MasterCard Global Destination Cities Index ranked Dubai fourth in the list of world’s top travel destinations. And needless to say, more tourism means accelerated growth in retail. Market experts are expecting a steady growth of Dubai with a projected rate of 5.5 percent. The CBRE (Coldwell Banker Richard Ellis) International, the leading commercial real estate services and investment firm, conducted research on the future of the global retail market. Hong Kong topped the list by attracting 86 brands which added to its retail portfolio. Its rank was followed by UAE in the second position. UAE as a market had an overall good performance in the retail sector, with Abu Dhabi ranking fourth among world’s best retail destinations boasting 51 percent of international retailers in the entire emirate. But it was Dubai that stole the show with 62 percent of 334 international retailers. In 2017 alone there were 59 international brands that started operations in Dubai, which was second to Hong Kong. This number amounts to about 62 percent of the total number of retail brands surveyed by the group. In fact, Dubai beat other leading international destinations like Taipei, London, Tokyo, Germany, Toronto, Singapore, Bangkok, and a few others. Another significant factor contributing to the retail growth in Dubai is the expansion in the real estate sector. With leading firms like Emaar Properties and Nakheel engaged in the development of malls and communities across the emirate, particularly in Dubai, the region is becoming more attractive for retail investors to set up their outlets. As of today, there is approximately an area of 3.1 million square dedicated to retail, including spaces like the Dubai Mall, Mall of the Emirates, and the Ibn Battuta Mall. And at any given point in time, these retail spaces experience 95 to 98 percent occupancy. A study on the real estate sector of Dubai estimates a whopping 1.5 million square meters of additional retail space to be developed in the city in the next three years. Some of the projects in the pipeline are the Deira Mall, Meydan One shopping center, a mall at the Dubai Creek Harbor, among many others. Also Read: Why Dubai Real Estate? 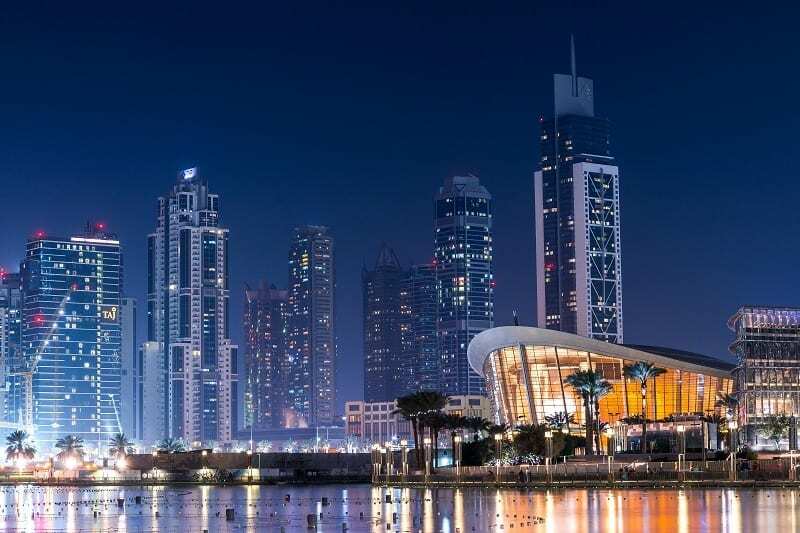 Apart from the major factors mentioned above, there is another primary reason why most international investors, mostly in retail are eyeing Dubai is, its upcoming expo. Dubai will be hosting the World Expo 2020, which, as the city promises and the experts anticipate, will be a spectacle in itself. The international event, which will start in October 2020 and will last till April 2021, will promote mobility, opportunity, and sustainability of the world economy. The first ever event of that scale to be held in the GCC and MENASA regions, the expo will showcase Dubai in a new light. While this six-month long event will be a step towards the country’s future, it will also bring together nearly 170 countries together, of which many would be prospective investors. The event will be an excellent platform for international retailers to cater to the increased influx of visitors through their offerings. One of the facts that stand right in front of us today is that most markets around the world are saturated and the potential lies in economies which are either unexplored or developing. Dubai falls in the first category. Although 2018 had seen a slow economic growth of the country, the future looks promising with new entrants and prospective investors turning Dubai into a sought-after retail destination of tomorrow.